TREDAir is the newest addition to the TREDIS suite of products. It represents a simple and cost-effective way to estimate the economic contribution of small airports while leveraging the knowledge of airport staff. 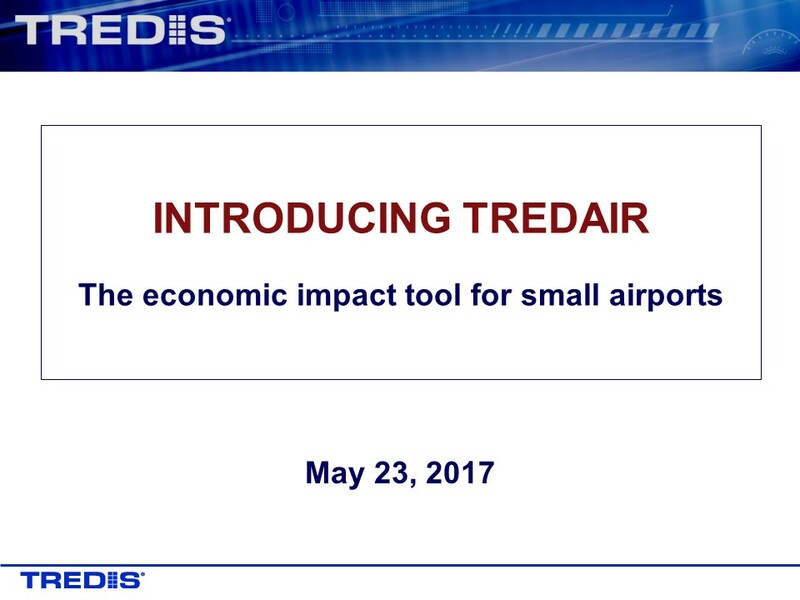 In this previously aired webinar on May 23, 2017, a single airport will serve as a core example as we demonstrate how to run a TREDAir analysis. Topics to be discussed: Required inputs, sources of information, and how to estimate the economic contribution of on-airport employment and visitor spending to the regional economy. Please note that TREDAir is an ideal tool for small airports, but should not be considered a substitute for a comprehensive consultant study.